People sometimes forget that when the first-ever iPhone launched in 2007, there was no App Store. Believe it or not, Apple's smartphone was limited to the apps with which it came -- hardly "smart." In fact, Steve Jobs famously didn't want third-party apps on the iPhone at all -- the man was a genius, but not always. Ultimately, the App Store was added in 2008 despite Jobs' initial push against it. This move changed the computer industry forever. 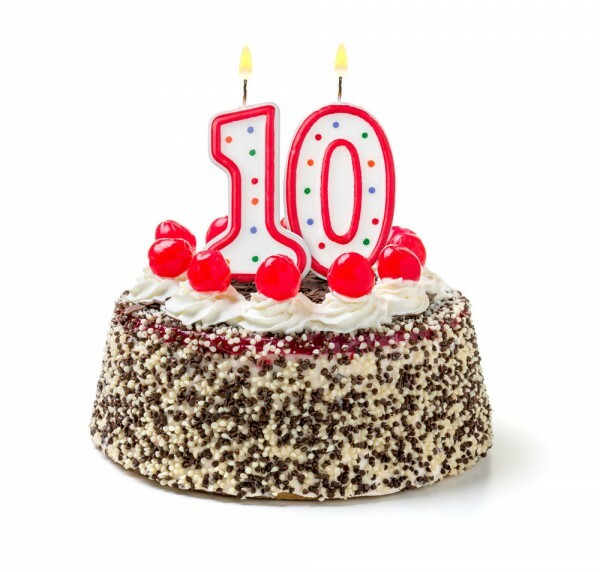 This month, the Apple App Store reaches an impressive milestone -- a 10th Birthday. This day is important for three groups -- Apple (of course), but more importantly, consumers and developers. Apple has made billions of dollars from the App Store, but third party developers have as well -- the company has literally transformed some devs into millionaires. Consumers have benefited from high-quality applications too. You may not remember, but before the iPhone came along, mobile apps were absolute garbage. "When Apple introduced the App Store on July 10, 2008 with 500 apps, it ignited a cultural, social and economic phenomenon that changed how people work, play, meet, travel and so much more. Over the past decade, the App Store has created a safe place for users of all ages to get the very best apps and a vibrant app economy for developers of all sizes, from all over the world, to thrive. Today, customers in 155 countries are visiting the App Store more often, staying longer and downloading and using more apps than ever before," explains Apple. Apple further explains, "Before 2008, the software industry was dominated by a few large companies. The App Store opened the door for any developer, from one-person shops to large studios, to come up with a great idea, build a high quality app and seamlessly deliver it to the growing number of customers around the world that today exceeds 1 billion people." Phil Schiller, senior vice president, Worldwide Marketing, Apple says the following. In its first decade, the App Store has surpassed all of our wildest expectations -- from the innovative apps that developers have dreamed up, to the way customers have made apps part of their daily lives -- and this is just the beginning. We could not be more proud of what developers have created and what the next 10 years have in store. Regardless of your feelings about Apple, the world owes it a collective "thank you" for its App Store. It inspired other companies, such as Google with Android and Microsoft with Windows 8/10, to adopt the same app concepts. It really did change everything. Sadly, the app stores from both of those aforementioned companies still lag behind Apple from a safety and quality perspective. In other words, ten years later, the imitators are still trailing Apple.